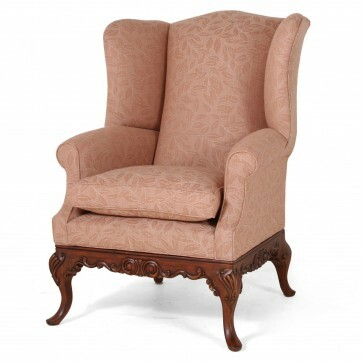 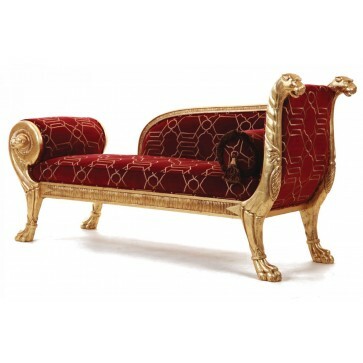 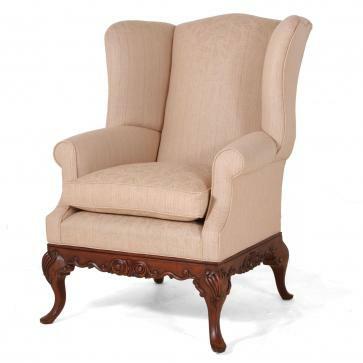 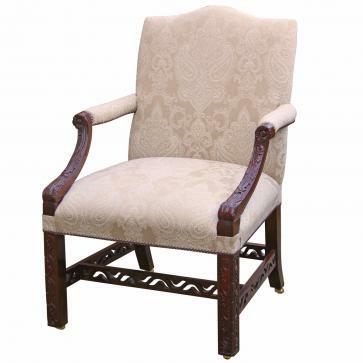 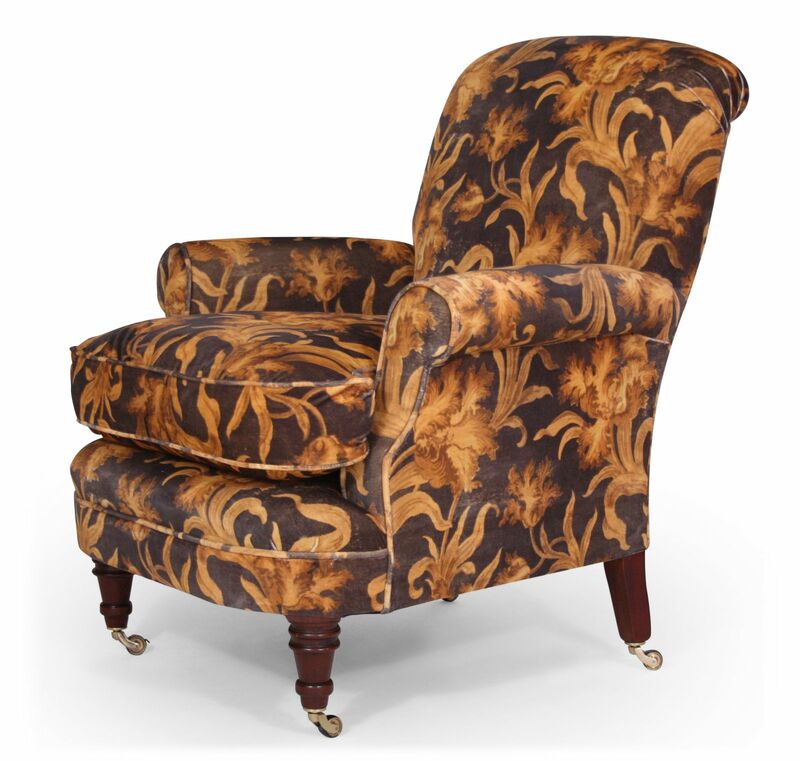 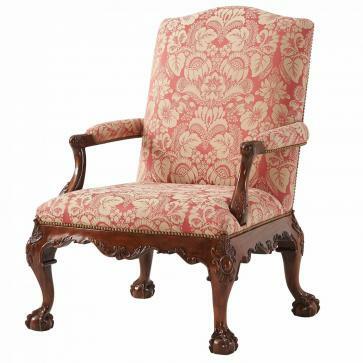 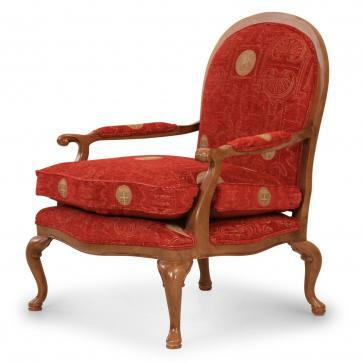 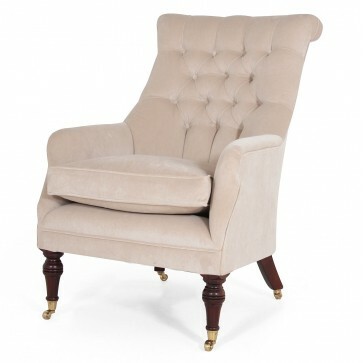 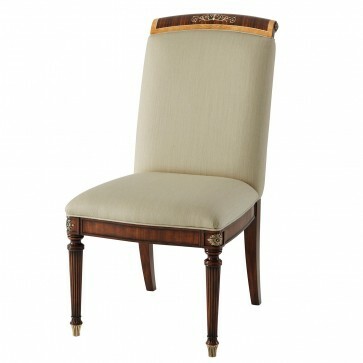 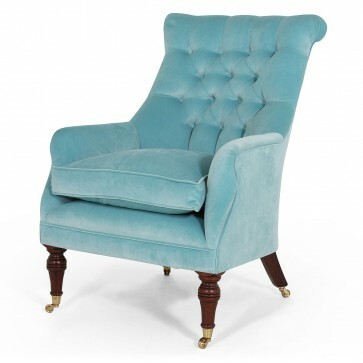 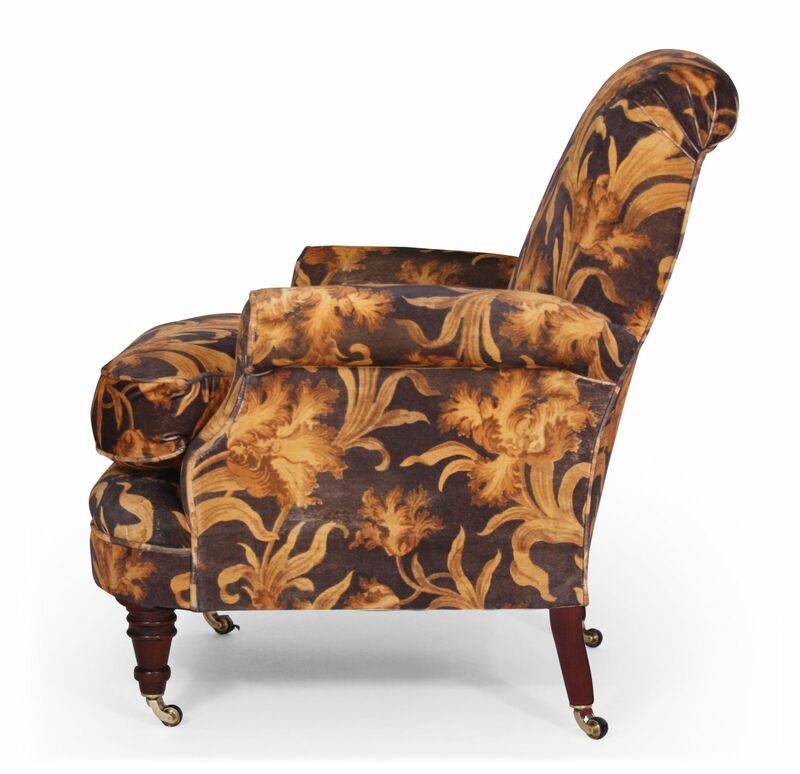 The Shelley bedroom or occasional chair features a roll top back and solid mahogany legs on brass castors. 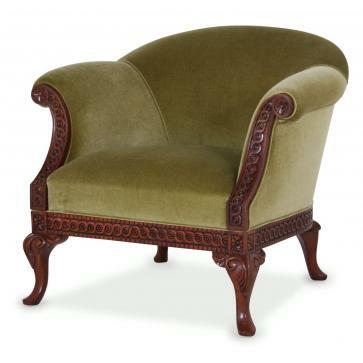 The English made hardwood frame is traditionally upholstered with jute, hessian and hand sewn individual coil springs in the seat and back. 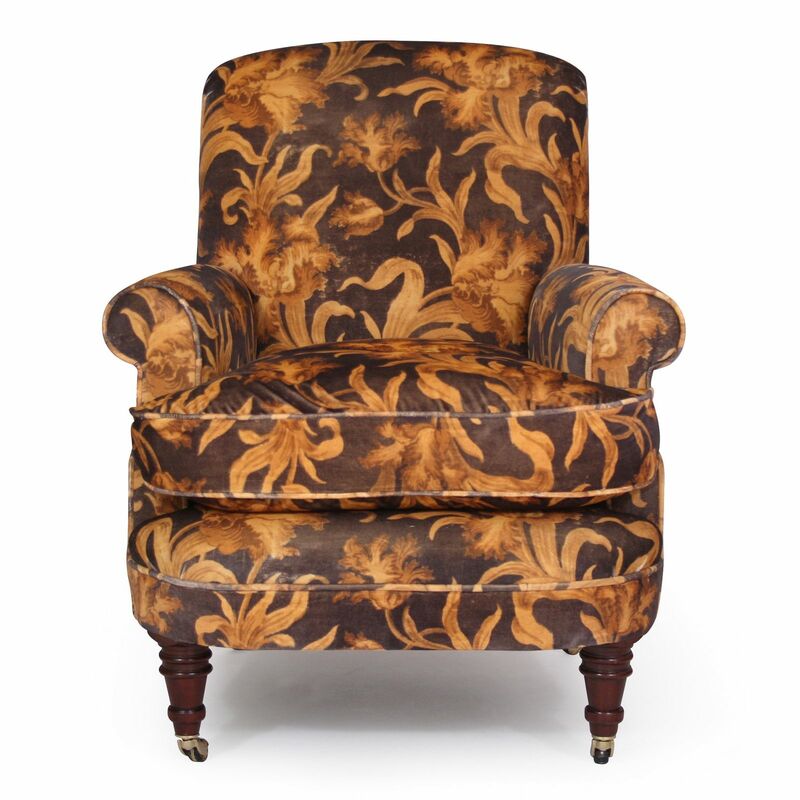 Loose duck feather filled seat cushion. 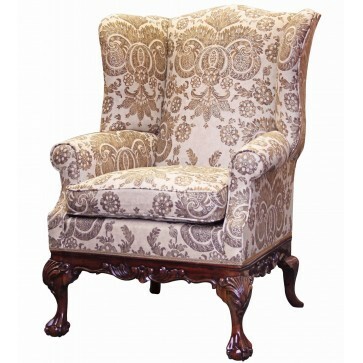 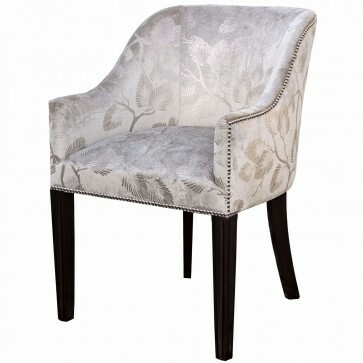 In Linwood Larnaca Antique Tulip, a 100% tufted cotton with aged print.